This post will probably have the worst SEO ever. Who will ever search for “Post number 100” right? But that’s just what this is. 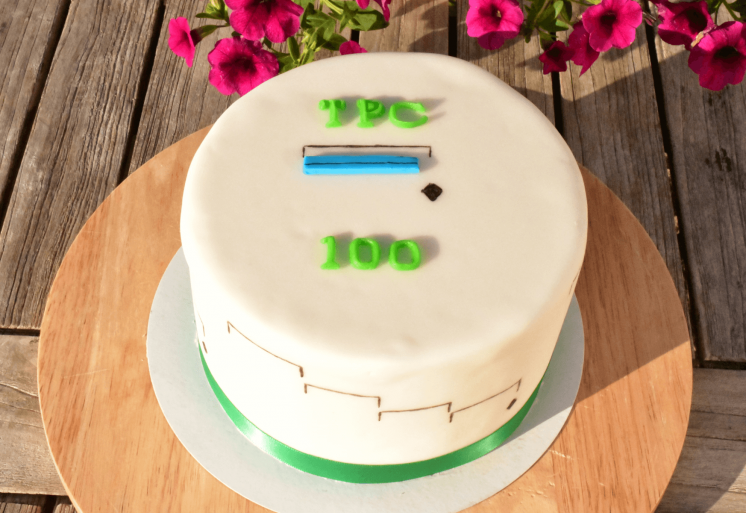 Welcome to the 100th post on The Project Corner Blog! And don’t worry, there will be PPM information here. And there’s even a contest/price in the end! A very special cake to celebrate, made by Mirjam (my lovely wife). 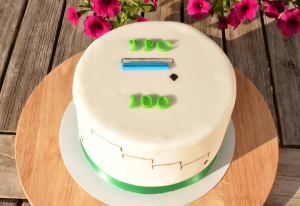 Yes that’s right, I’m not only celebrating the 100th blog post. 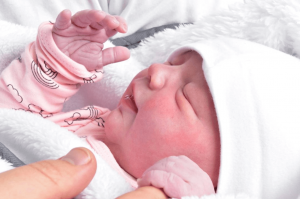 I’m also celebrating being a dad again. Welcome Louise, you are deeply loved! It all started as a test: Find a subject “MS Project” related and write at least 5 posts for it. If I was able to do that I would start a blog and have enough starting content on it to feel good about it’s survival. Those 5 posts became the incorrect ways of using Ms Project series. Which was later featured on MPUG and became part of the 99 top visited posts in 2016. That was 2013! And I started blogging consistently with 1 or 2 posts every month ever since. I even moved from a WordPress.com domain to a personally owned WordPress.org site around Easter 2016. Two items that have grown into returning themes are the Book reviews and About posts. More on that later. I also had the pleasure of featuring a number of guests on the blog, Bonnie, Michael, the guys at Webucator, Prasanna, Nenad and of course my former colleague Hester. Every guest post has a special place in my bloggers heart and the cooperation has always resulted in highly appreciated articles. Thank you all for helping too create such awesome content! Other highlights are maybe a bit more personal such as these two posts (here and here). And the most recent achievement is the Newsletter! With just over 60 subscribers it’s getting nice traction already. Containing some of the most viewed content I wrote, the about posts are highly focused on one specific subject or item within Microsoft Project, Project online or Project management. It normally takes me considerable time to write them, and most of the time they have research and links to other great content. Some even feature video content such as the “About Earned Value Management” post. The biggest achievement in the About posts is by far the post about percent complete. It exceeds any other post on the blog by far! On a normal week it will be visited more than a hundred times from all over the globe. And that’s not all, it has the most comments per post (28) and it was even translated into Portuguese by a Microsoft MVP (thanks Raphael)! The book reviews is my hobby within a hobby. And although they are visited less than the About posts they are still a big part of The Project Corner Blog. I call them a hobby within a hobby because I enjoy reading and developing my skills, and by writing about the books I read related to MS Project and Project Management I hope to share that passion with you. The 15 books that are currently reviewed are all stacked on my bookshelf, and through affiliate links I know that people have grabbed their own copy of some of them as well. The most popular book is this one: The Fast Forward MBA in Project Management. But the series of books produced by the Sensei guys is also really popular. Here’s the complete set, and you can find all book reviews through this page on TPC. Keep reading, there is more to come! This is my 100th post on The Project Corner, but that’s not the only place I can be found. I also write for MPUG occasionally and got featured on the project podcast once. And that’s just what the resource page is about. It’s a source for you to go and find other great content related to PPM and Project management. I couldn’t possibly cover everything there is to know about Microsoft Project / Project Online, Teams, Power BI, Microsoft To-Do or all related tools. That’s why the resource page is a useful spot for you to look into. It contains a section with other bloggers. And sections about books and other websites. Have a look, and I promise I’ll update it soon to include some of the recent updates Microsoft brought out, such as Teams and To-Do. Never delete a task, another highly appreciated post. And completely unrelated to the items I discussed earlier. The Project Corner Blog has grown into a place I can express my insights and thoughts on the products I work with. Sometimes it’s just a single post about a subject such as the Never delete a task is about the “inactivate” feature of Project Professional. And other times it’s about a bug I found, or about the golden formula. My main goal with The Project Corner Blog is to help you succeed in using MS Project and PPM. And if I think of a subject that I think needs to be covered I will try and write about it. In the beginning of 2017 I finally got the nerves to do something completely new. I started my very own newsletter! Currently a quarterly mail subscription it contains not only links and information from The Project Corner, but also information that I found useful on the web. This can be anything from a great YouTube video, a book I read or even another blogger’s excellent Project Online related post. With the newsletter, people get access to the special members section of the TPC OneDrive. A OneDrive folder I created with Project (management) related content specifically to thank my most loyal readers. And the best thing is; people are subscribing to it! I’ve been scared that it would be a complete fluke and I would be stuck with my mom and wife as the only subscribers. There are already 60+ people on the list for receiving the one and only TPC newsletter. Click here if you want to learn more about the newsletter, or click here to sign up. And thank you, you are a great motivator for me if you do. It will be anyone’s guess what’s going to happen on TPC in the coming years. But I would like to share some idea’s I have. And that means both folders: “TPC Newsletter” and “open to anyone“. I think it would be great if I could share interesting content to my readers. You can also find me on TechNet through this link. On TechNet I try to answer specific user questions and I also have a few files you can download. As a advent reader I will continue sharpening my knowledge by reading Microsoft Project and Project Management books. And maybe, just maybe I will write my own book one day. And it would be amazing if other people would review it and post it on their blogs. In the beginning of TPC I used to publish posts with maybe 200 words and a short message. But I have concluded that these short posts usually don’t cover the subject and I found it more rewarding to generate higher quality posts since 2016. That means that there will be fewer entries (1 post per 1-2 month). But the content of the published material will be more to the point. With higher quality information for you to enjoy. If possible I will add other sources from around the web, or I’ll create content I’ll share with you through the TPC OneDrive. You can ask me anything about MS Project, Project Online, Project Server & Power BI. And I will answer any question to the best of my ability and help you out with advice and follow up information. Sign up to the Project Corner Newsletter, here’s the easy part. Share The Project Corner Blog in a creative way on a social media platform , such as LinkedIn, Facebook, Twitter, Snapchat, Instagram. Take a screenshot or send the link and mail it to me: theprojectcornerblog@outlook.com. Think of 2 subjects that you would like me to write a blog post about, and tell me why these subjects would be of interest. Send the text in the same mail as above. The contest will close on 17-07-2017. And the winner will be contacted soon after to schedule the session. Good luck to all contestants! Final notes have made their entry in TPC about halfway through blogging. I think they are a nice little closing section for the article. And a way for me to remind people there is more to be read in TPC and thank the reader. And on that note, I would like to thank all of you for reading, writing, sharing and motivating me. Most of all it has truly been a wonderful time and I hope to do another post like this when the blog hits the 200 posts mark.